No need to bolt your food. Or sprint to the dessert. 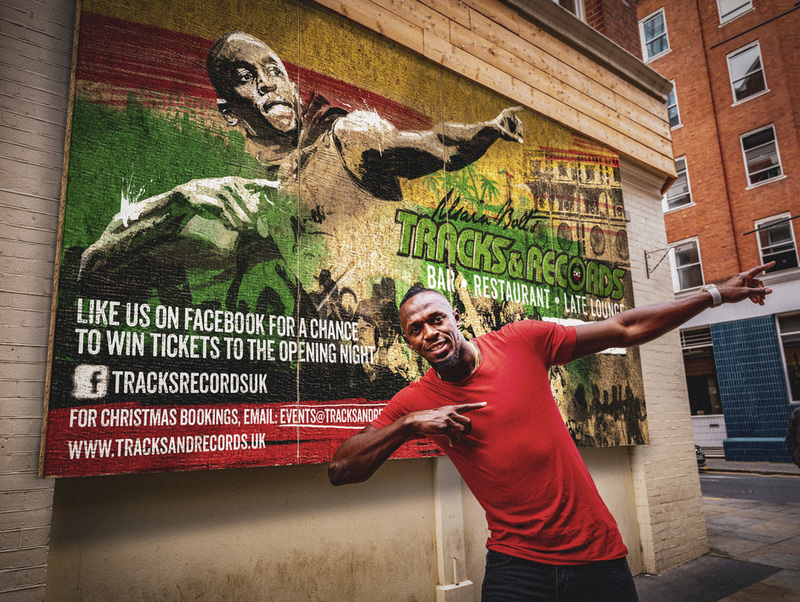 It may be owned by Usain Bolt, the fastest man alive, but speed is not of the essence at Tracks & Records . Quite the opposite, in fact. Bolt's Shoreditch restaurant offers a slower pace of life and an authentic slice of Jamaica with Caribbean flavours, bespoke drinks, reggae and dub sounds and a late lounge with live DJ sets. Bolt's favourite foods, like jerk chicken and pork and fried fish and bammy, are on the menu. The space, split across two floors, features a mix of modern wall art and vinyls - interiors created with Bolt's style in mind - as well as Usain's sports memorabilia. D ownstairs a stylish bar, dancefloor and club is the place to go for reggae music and live DJs who play until the late. Alongside, there's a Jamaican-inspired chillout area for full immersion into the island's laid back vibe. The rum bar, which has a carefully curated, extensive collection of over 150 global rums, features 100 Jamaican rums. Tracks & Records gyms, sporting activities, health & beauty and fitness. The best pubs near London Tracks & Records. Tracks & Records clubs, bars, cabaret nights, casinos and interesting nightlife. Where to have your meeting, conference, exhibition, private dining or training course near Tracks & Records. From cheap budget hotels to luxury 5 star suites see our discounts for Tracks & Records hotels, including South Place Hotel from 39% off.